July 4th To Our Military - Humanities IDEAS: Inclusion Diversity Equality Acceptance Solidarity For All Humanity ! What a wonderful idea and it is so easy to do. 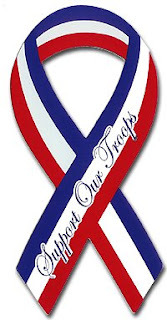 A lovely way to support our troupes. Thank you for sharing this. I have a little something for you at my site so come by and see.